Nobody likes to save for a rainy day, when you could be out spending, but when it comes to saving for the deposit for your mortgage, it is well worth the hardship. Lenders are increasingly lowering the amount of money that they will lend to first-time buyers and instead wanting you to stump up as much cash as you can in order to buy the property.Nowadays you may find it hard to even get a mortgage if you do not already have some kind of deposit that you can use for the property. 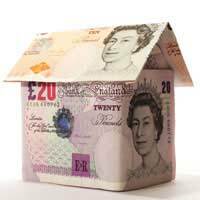 The more you save, the better mortgage rate you will be able to get, which ultimately means cheaper monthly payments.Saving up for a deposit also looks good to lenders as they will see that you are able to manage your money and save some each month to put towards your house. Saving for a deposit is easier said than done, and a lot of people will find it hard to resist temptation and go out spending.Your first step should be to budget, make a list of everything that you spend in a month, and then compare this against your bank statement. Also keep a diary of anything you spend, in the same way as a person on a diet may keep a food diary, to help them loose weight. You should follow the same principles, and anything that you overspend on you will soon notice. Once you have made your list you should then separate everything you spend into categories. The first one should be for essential items, these are ones that you need to spend money on, such as rent, bills, travel etc.The second list you should make is for items that are not essentials, such as clothes, CDs, and other luxuries, you should then work out how much money you spend on non essential items each month and half it, this should help you to spend less each month. Once you have worked out how much you can afford to save each month you should set up a special account with your bank or building society. You should then set up some form of direct debit which will transfer money from your normal account into your savings account. You should set up a direct debit on the day that you get paid your wages, so before you even have chance to hit the shops the money has been transferred. This will not only allow you to save efficiently but it also means that you should be able to save up for your deposit more quickly as the bank will pay you interest on the money that you have deposited. You should talk to your bank about the various options for saving accounts that they have, ideally you should deposit the money into an account that you will not be able to access easily. Saving a deposit for the property you want is not going to be easy, but it will give you good practice as to how you manage your money and are able to make monthly payments. You should cut out a picture of a property that you have seen and would like to buy, or similarly look through house and garden magazines and pick out a few pictures of properties that you like. You should then place this picture in your wallet, so that every time you go to make an unnecessary purchase you can whip out the picture of your ideal home and remind yourself what you are saving up for.